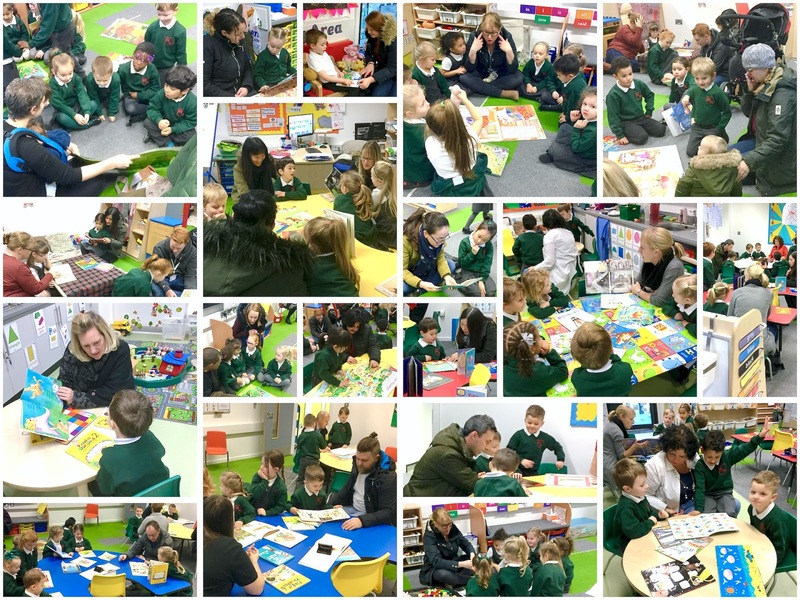 Thank you to all of the parents/carers who were able to attend the first Reception Read Together on Friday. The children loved sharing some of their favourite books with you! Read Together is every Friday morning 8:45 - 9:10 and is a great opportunity for you to spend time with your child and develop their reading and comprehension skills. Giraffe class are really excited about their newly developed reading area. 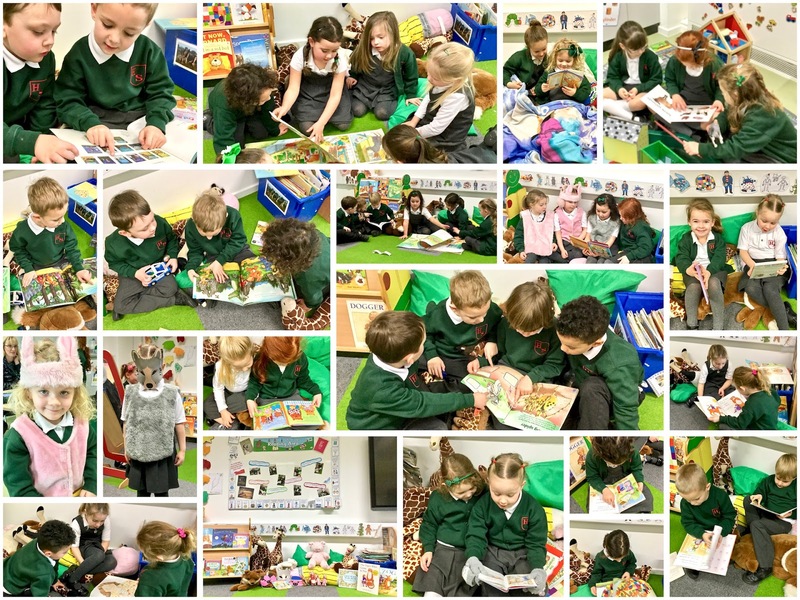 This has certainly helped to promote reading in the class: the children have enjoyed settling down in the comfy space to share some of their favourite stories with their friends. 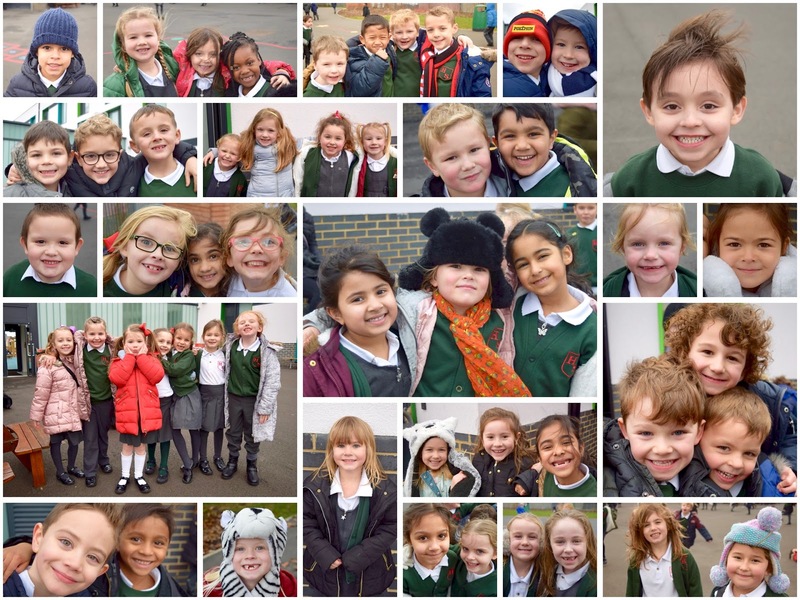 When asked about their favourite books and characters, Giraffe class had a lot to say! "I like Elmer because he makes other elephants laugh." "My favourite book is the Gingerbread Man because I like it when he jumps out of the oven." "The Gruffalo because the mouse scares him away." "I like the Apple because everyone tries to get it down and then Floppy eats it." "I like Penguin because he is funny." "I like the Baby Owls because the mummy comes back at the end." "I like it when Jack climbs up the beanstalk and finds the giant." On Wednesday, our Year 5 and 6 pupils took part in a road safety workshop where they had to decide who was responsible for a terrible, road traffic accident which had resulted in a school child losing his life. After observing the scene and taking notes about the evidence before them, children battled between the guilt of the driver, the victim and the victim's sister; however, after an accurate recount of events was given, it was clear that there was no one to blame apart from the victim himself. With his hood up, earphones on and phone in hand, our unsuspecting child stepped out onto a zebra crossing without checking for oncoming traffic. As a result, one careless step, everything ended for him and his family were left without a brother and son. 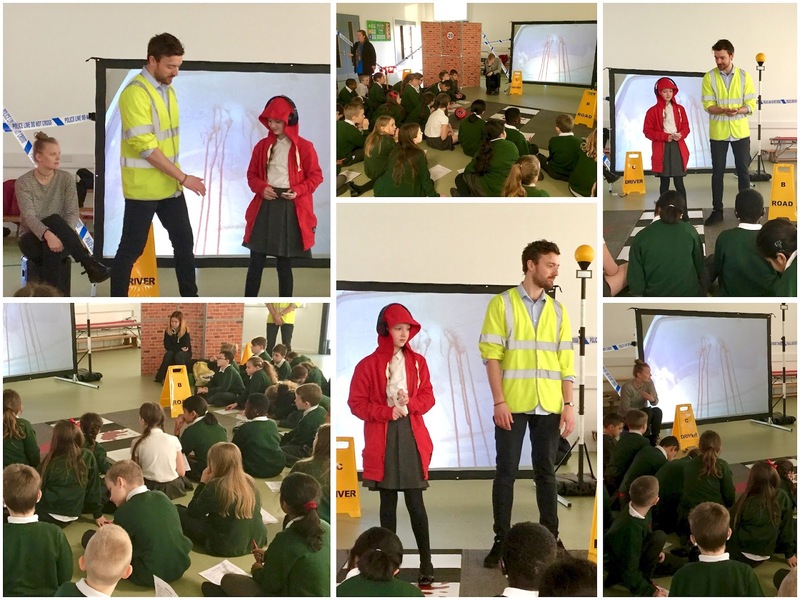 Our pupils talked about their experiences of crossing roads and were left incredibly moved by the events they had observed. A clear message was delivered by the theatre group: stop, look, listen and you will live. 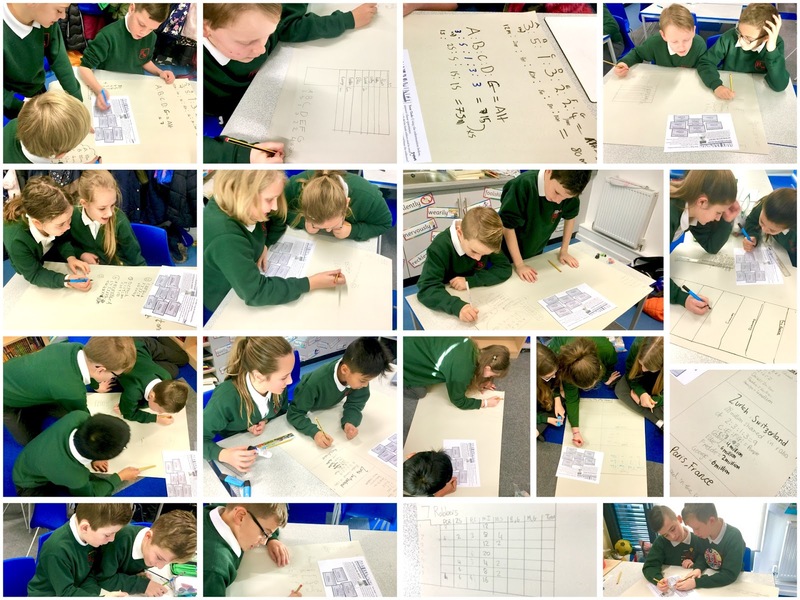 In maths, Year 6 pupils became detectives using their knowledge of ratio and proportion to solve a terrible crime: a multi-million pound bank robbery. After working out how much each criminal had stolen, an adequate sentence had to be determined based on the proportion of money they had acquired. Methodical and accurate working were key along with plenty of patience. Watch out Sherlock Holmes! 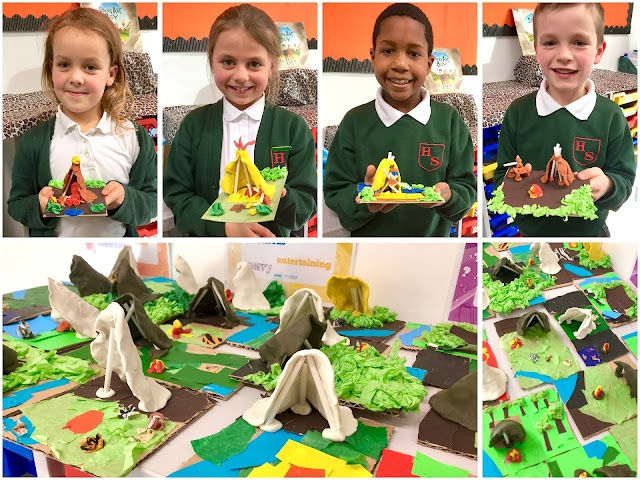 In preparation for their upcoming writing task, Year 3 made their very own Stone Age houses. Firstly, they designed and made the base for their houses, thinking about the things that were important to the people of this era. Then they made a house out of plasticine to represent animal skin that would have been used some 15,000 years ago. 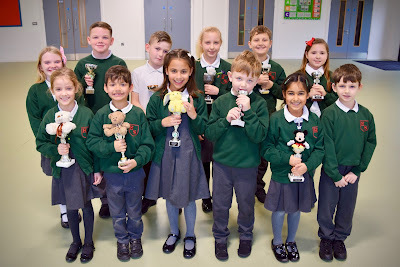 Year 3 were rightly proud of their final designs. Would you like to live in one of these houses? Reception children have been thinking about the tale of the Gingerbread Man. 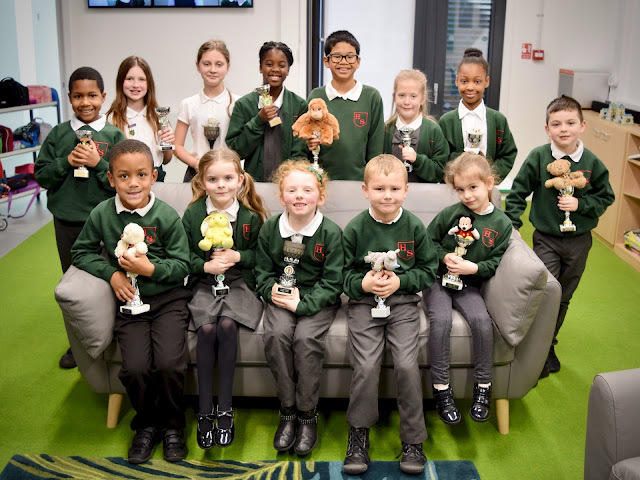 The children listened to the story and became particularly interested in discussing their ideas about why the Gingerbread Man could not swim across the river. They were very curious to find out what would happen if he got wet so they conducted a science experiment to find out why. The children put gingerbread men into different liquids - water, milk, oil, vinegar and washing up liquid - and observed the changes that took place. They soon discovered that in many of the liquids the gingerbread men became soggy and broken. However, they were excited to find that the gingerbread men in oil and washing up liquid stayed in one piece. 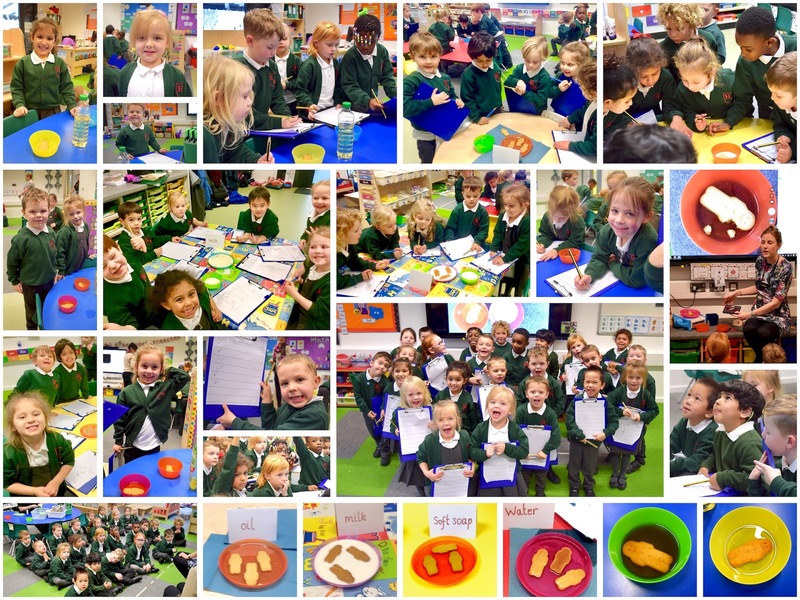 Our Reception pupils clearly enjoyed finding out for themselves why the Gingerbread Man could not swim across the river. 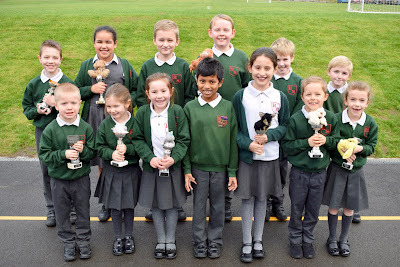 Last week, Nursery children began their PE apparatus lessons in the school hall. 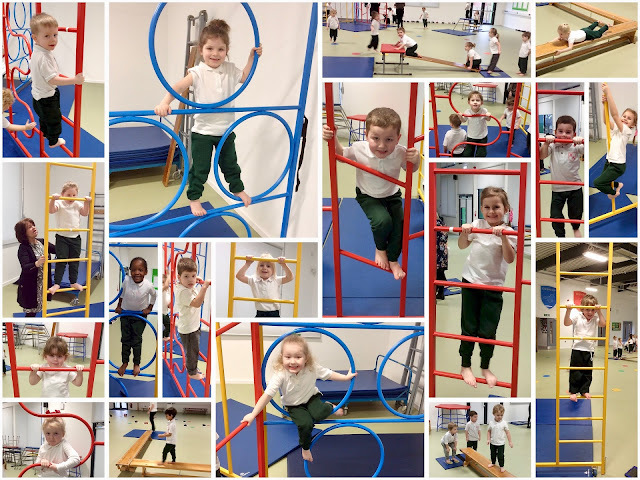 Firstly, they had to take off their shoes and socks before they began to explore the different PE equipment. They climbed, balanced, slithered, crawled and jumped from a range of PE benches. 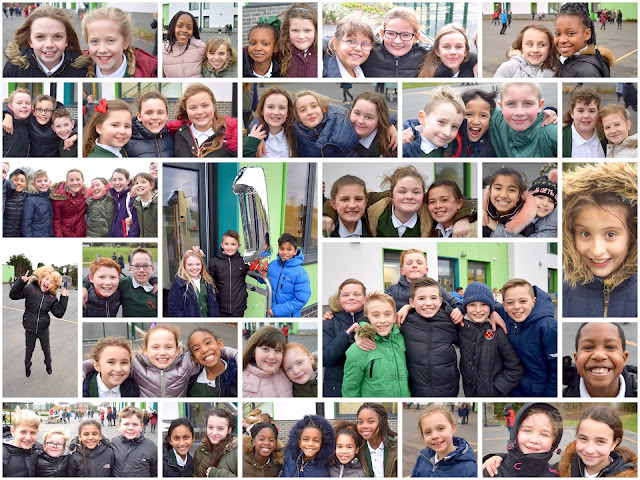 The children were thrilled to have a go on the climbing frame and conquered their fears as they ascended to great heights: some children were able to climb up so high they were taller than Mrs Stephenson! Congratulations to all the wonderful children who have made such a great start to 2018. 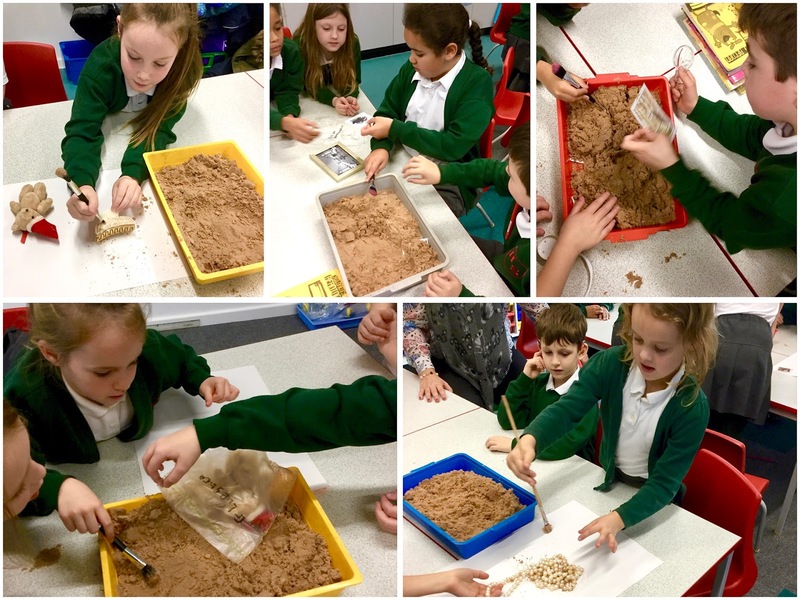 In History, Year 3 became Archaeologists for the day. They learnt about the job of an Archaeologist and began to do some of their own digging for artefacts. They used their hands, brushes and magnifying glasses to excavate objects and explore them in detail. 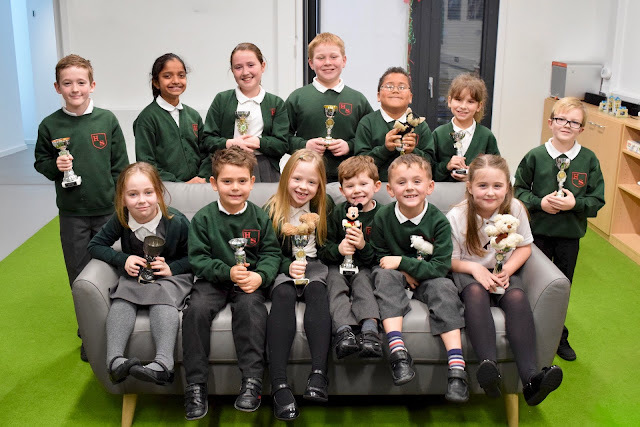 They used their detective skills to identify the owners of the objects and were able to discuss why they might have been found in the sand. It was great fun and the children thoroughly enjoyed using their inference skills to make conclusions and predictions. Pupils and staff had a lot to celebrate on the first school day of 2018. They not only caught up with friends and colleagues to talk about the holidays and their New Year's resolutions, but joined together to celebrate the one year anniversary of the move into our new building. Cheers erupted around the hall as the birthday cake candle was blown to celebrate Hacton's first birthday. The year has flown by: it feels like only yesterday that staff were moving boxes and furniture into the brand new premises. A year on, we are still very grateful for the fantastic building that is home to Hacton Primary.